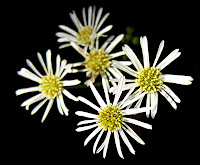 This is a collection of Wickham Park wildflower photos taken before this blog was created. 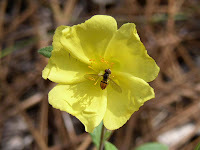 These wildflowers have not yet appeared in any of the Wickham Park posts in this blog. Now that those confusing Carphephorus and Liatris have been identified and are out of the way (see previous post), here are a couple of new unidentified plants, plus a few familiar ones from my last two visits to Turkey Creek. 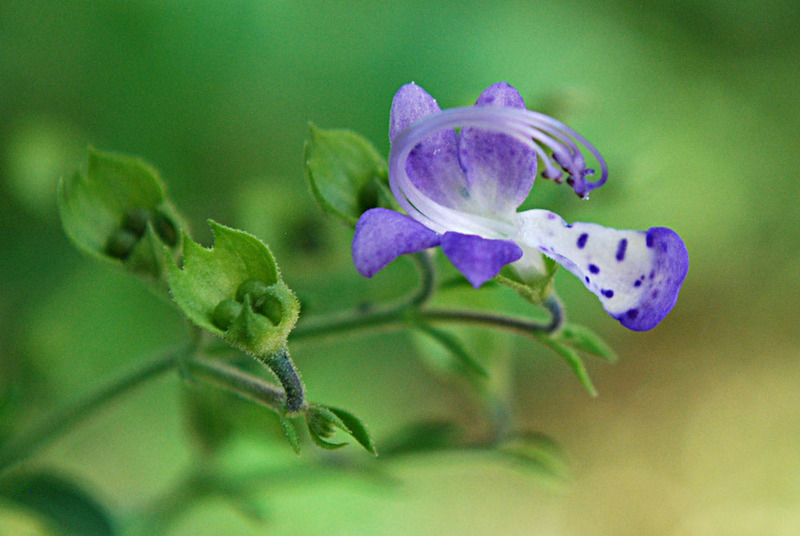 In our front yard shrubbery. Nothing to do with Turkey Creek, other than it was taken the same day as the November 5 visit to the park. 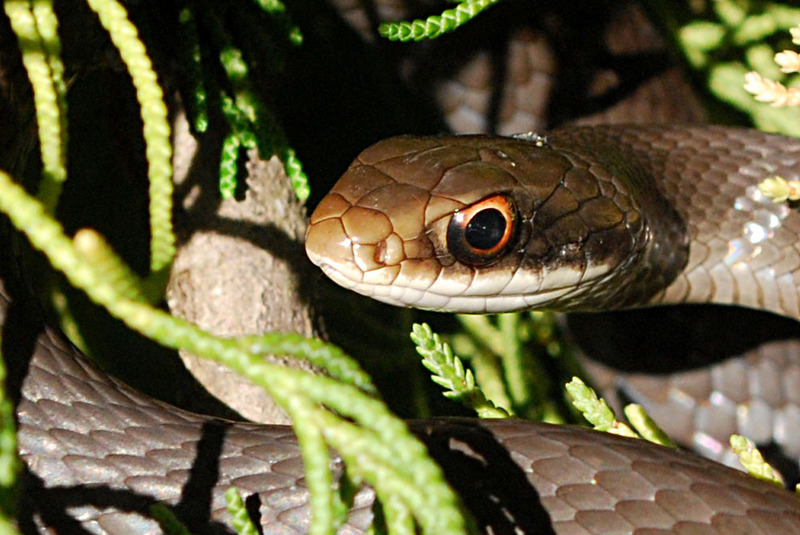 I thought it was a good portrait of the snake. 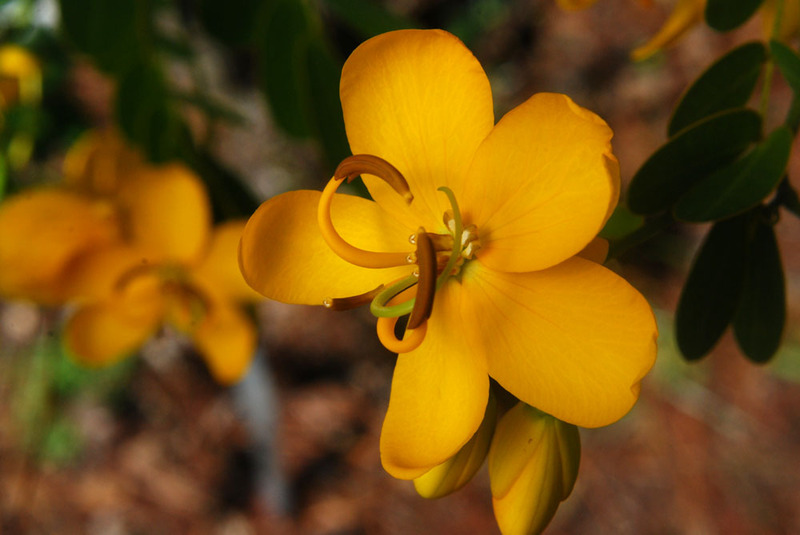 Found in the butterfly garden, near the park entrance. This plant is in the butterfly garden, near the park entrance. 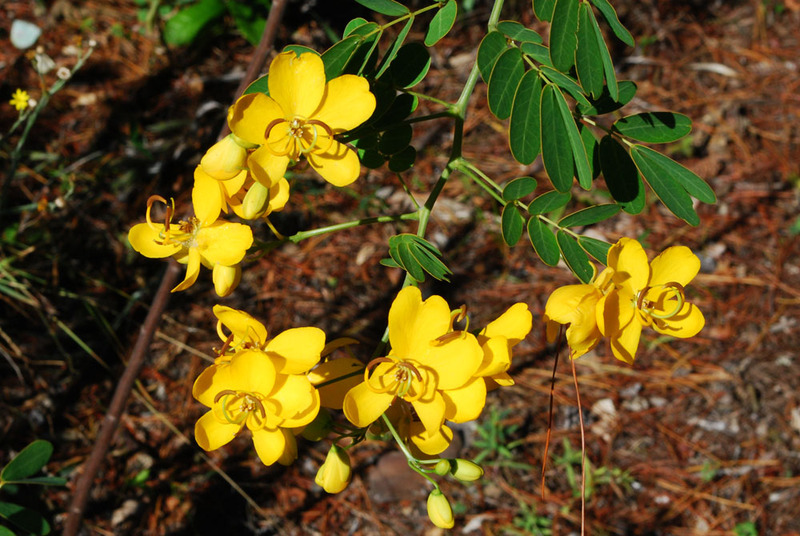 The sign next to it says it is Butterfly Cassia, Senna bicapsilaris; however, no such plant is listed on the USF/ISB website. 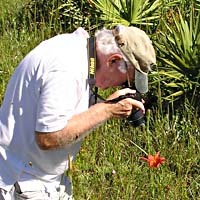 An online search turned up many references to S. bicapsilaris. 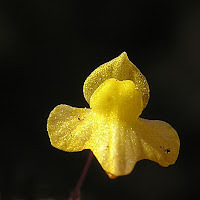 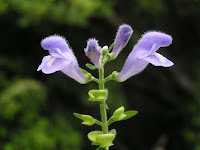 In the online photos I found it looks to me to be identical to S. pendula. I found this strange plant about one-quarter way down the ground-level trail, on the left side. 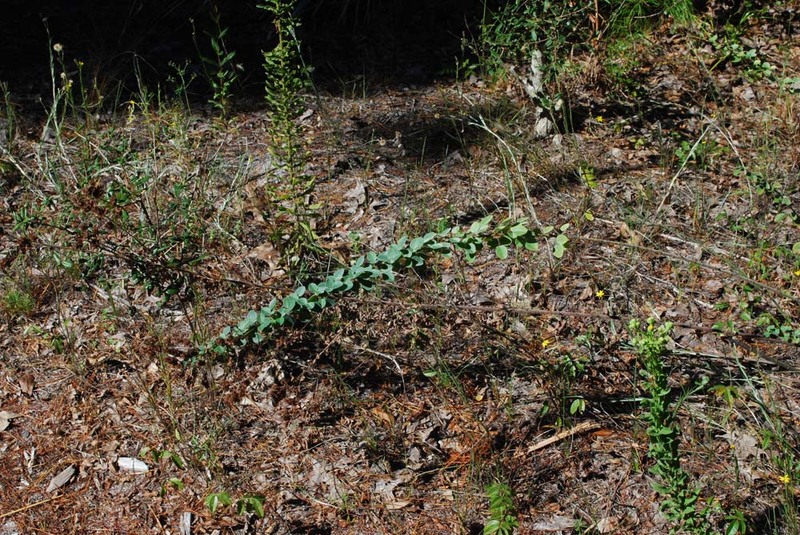 It had several long "canes" coming up from the ground. 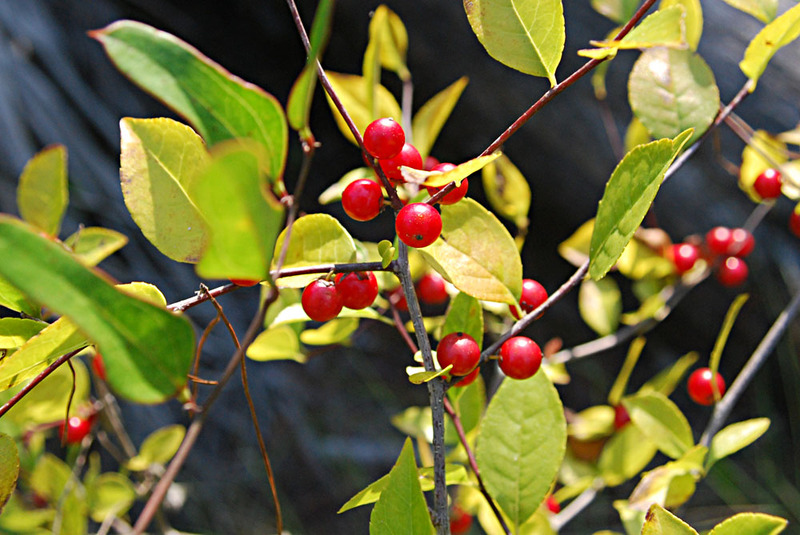 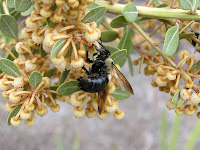 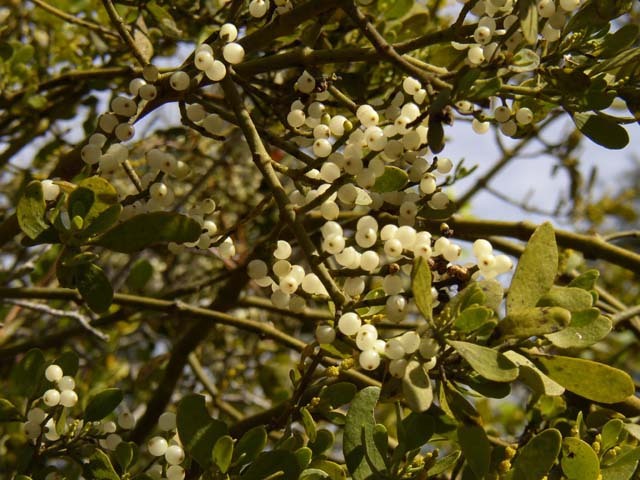 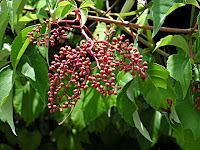 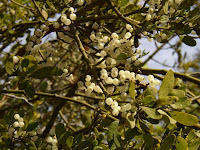 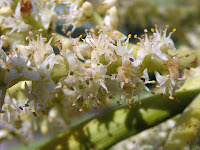 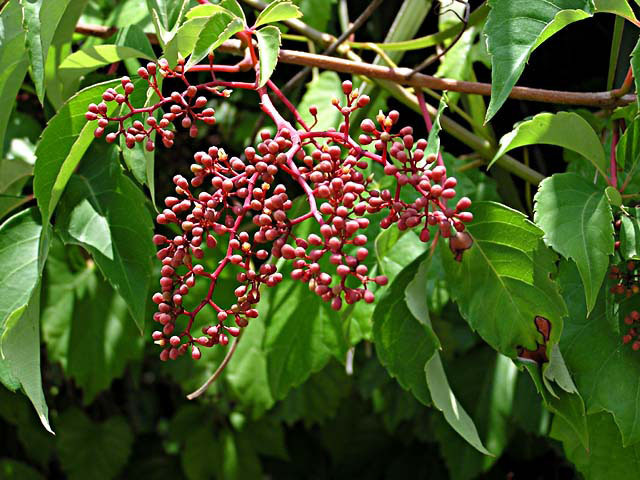 The leaves and blossoms/fruit were on short stalks along the main stem. Seeds appeared to be small, dry wafers. 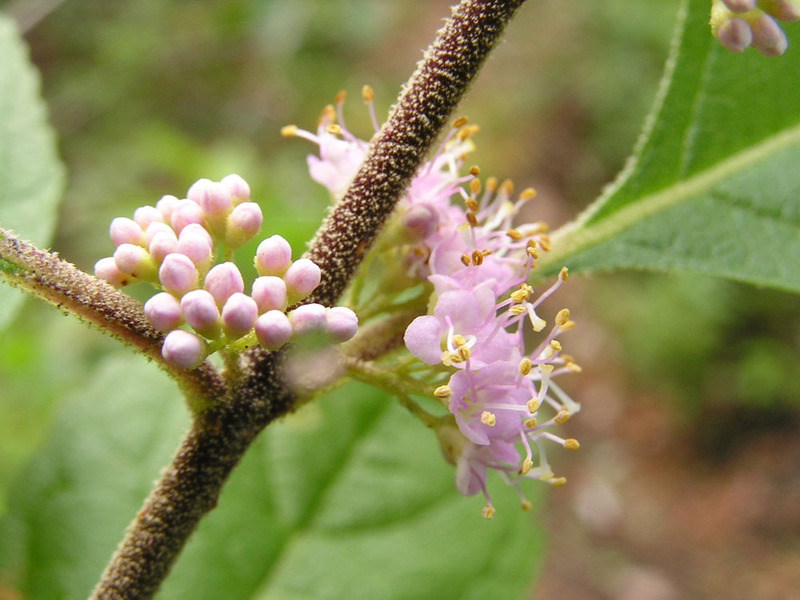 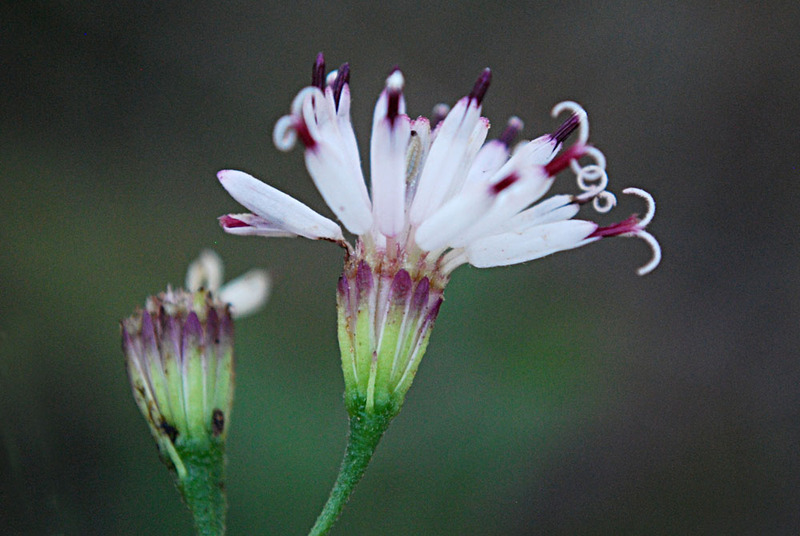 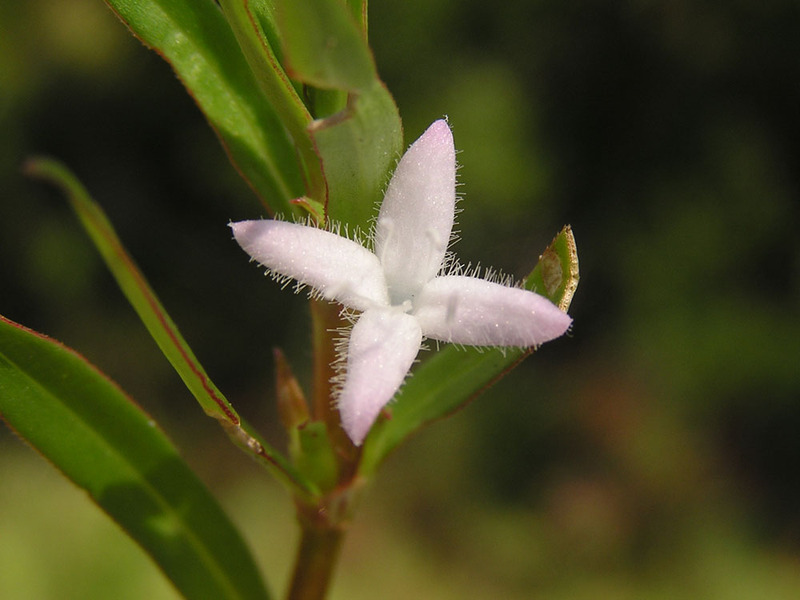 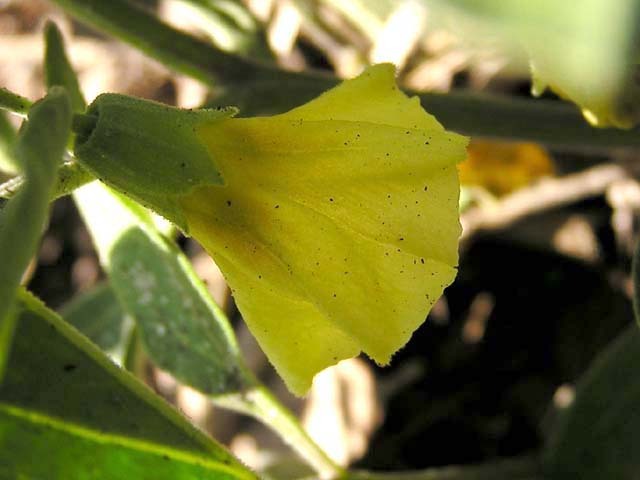 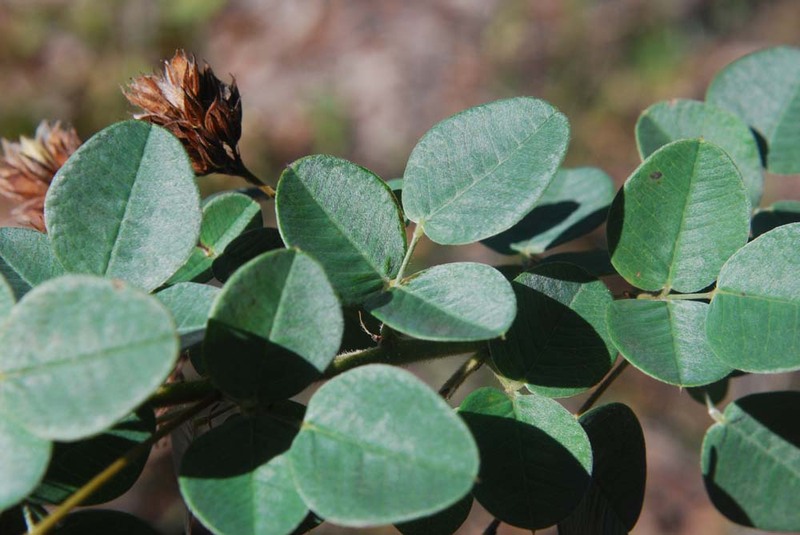 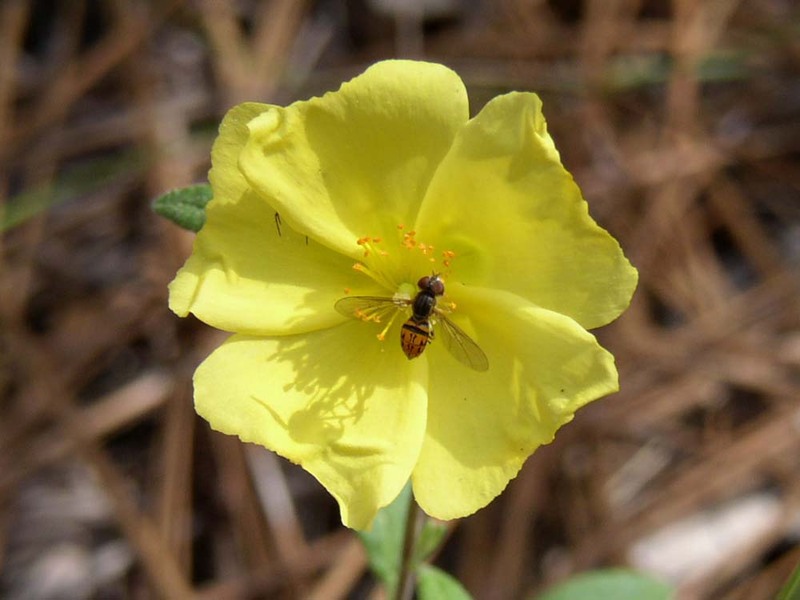 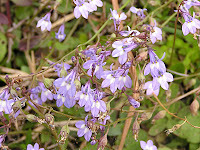 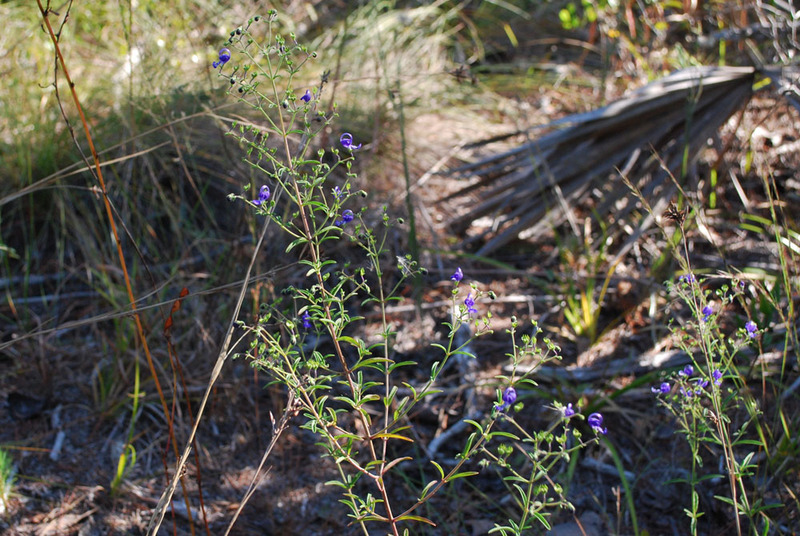 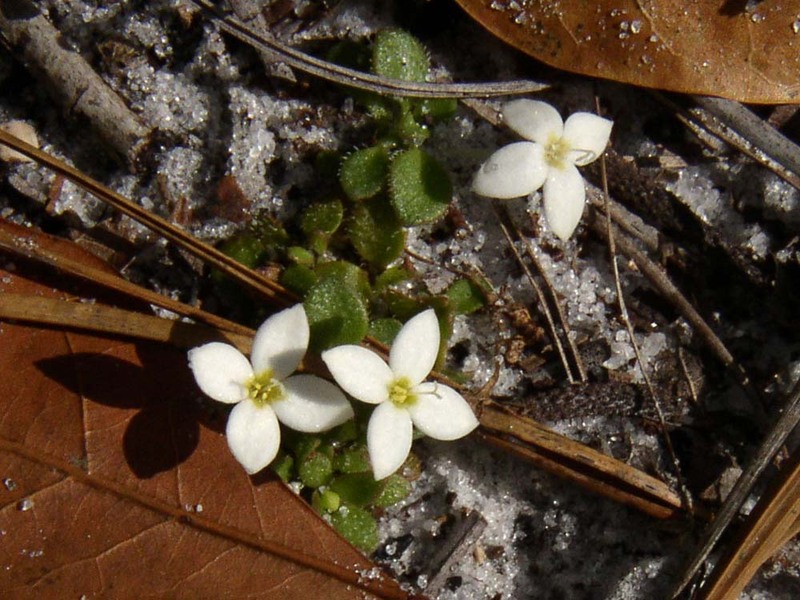 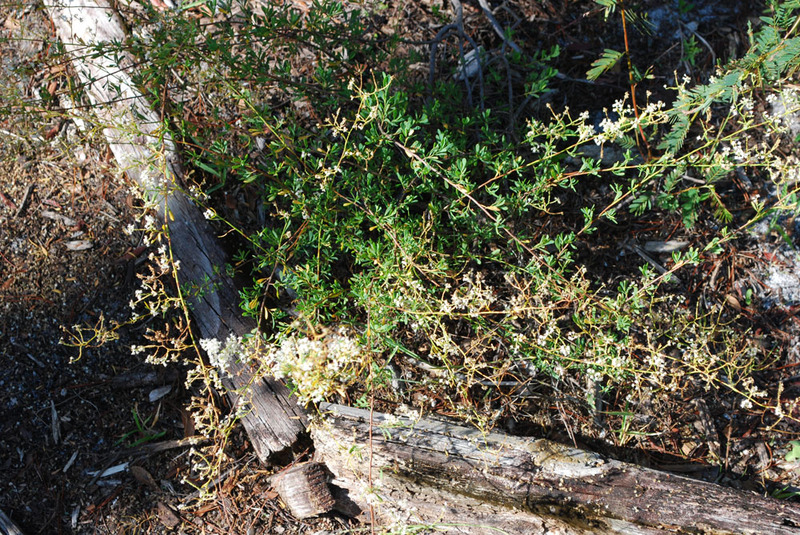 This plant, which was previously shown as "unidentified," has now been identified, thanks to Sally Scalera and the UF Herbarium (February 17, 2011). 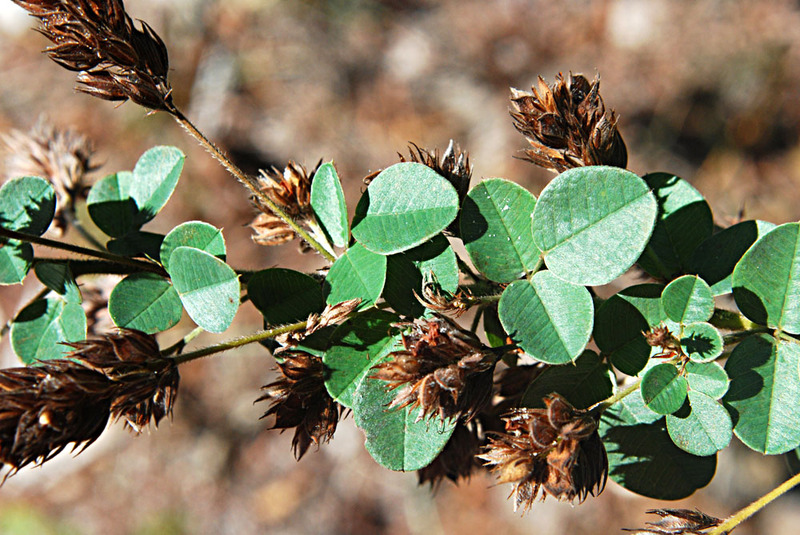 It is hairy lespedeza, a perennial. 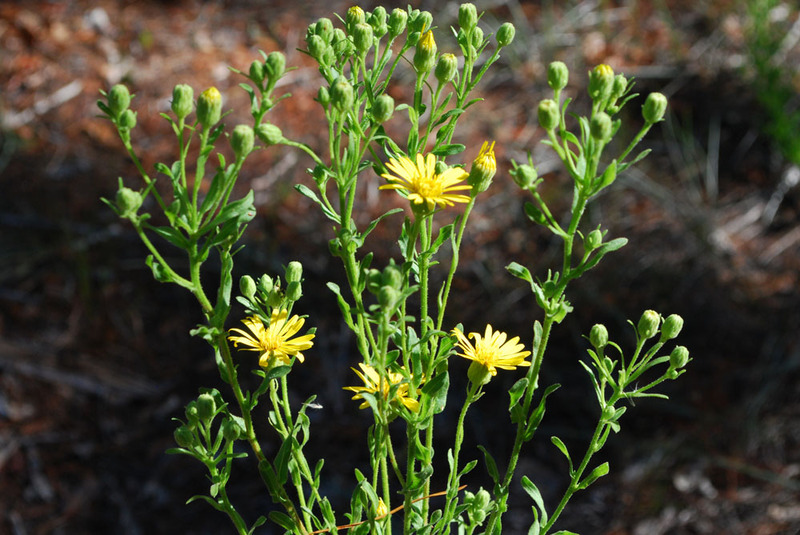 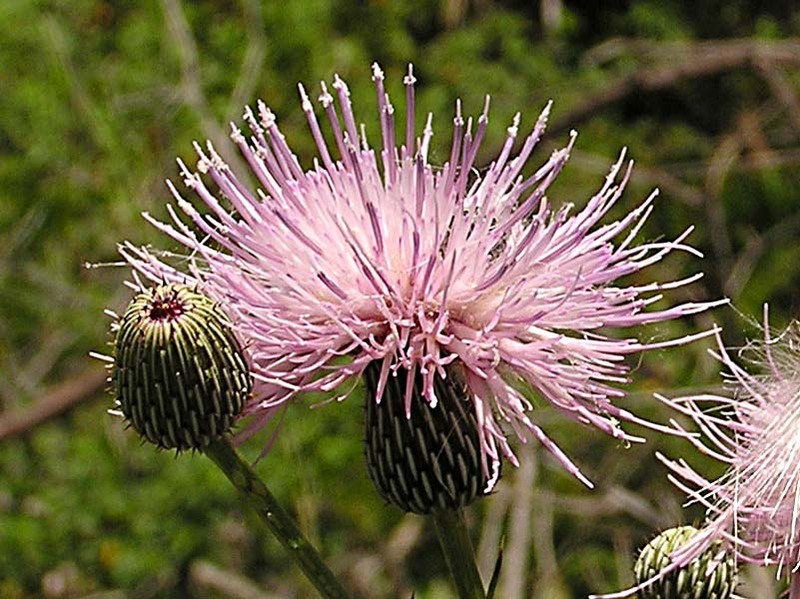 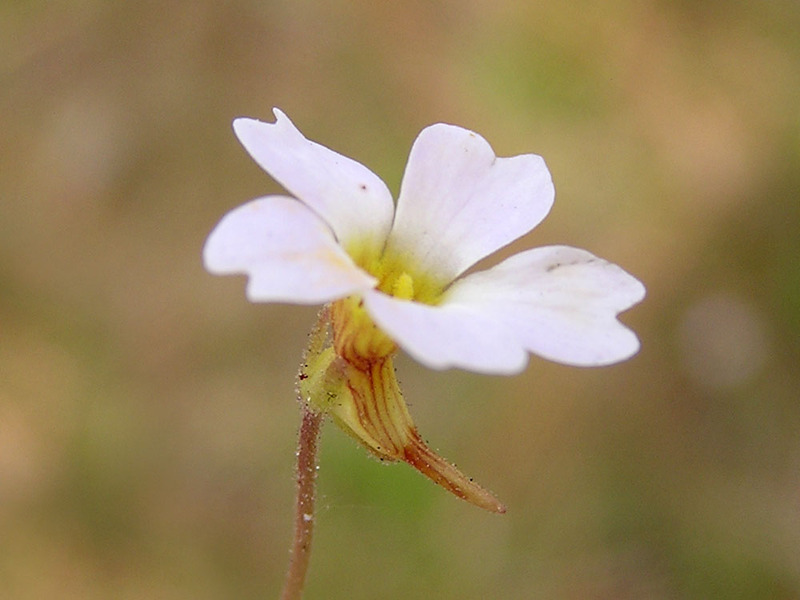 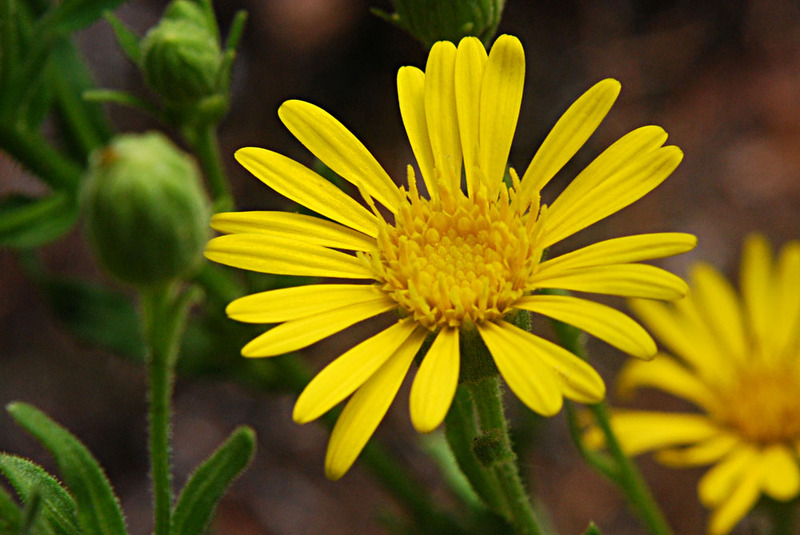 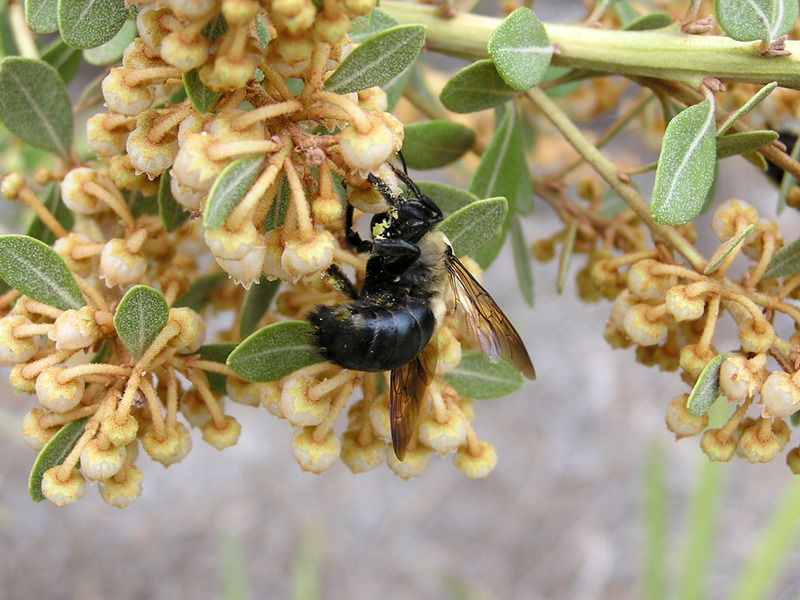 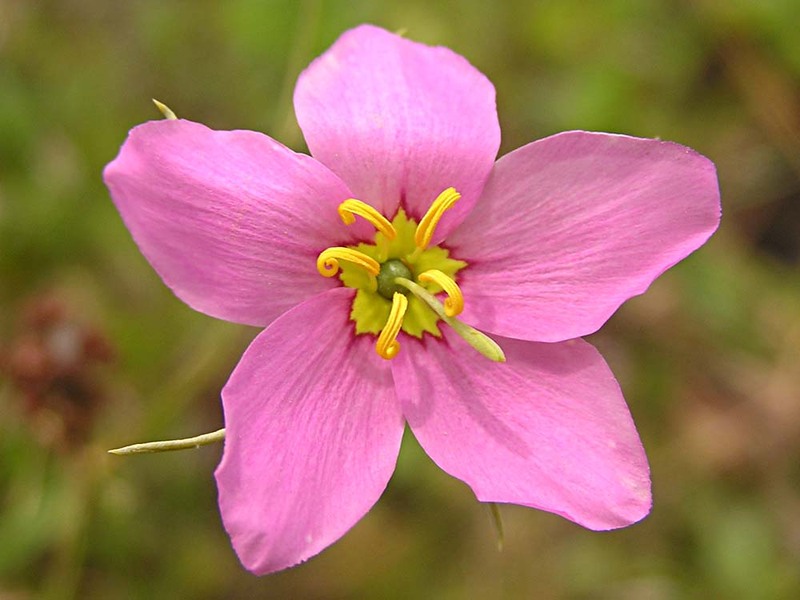 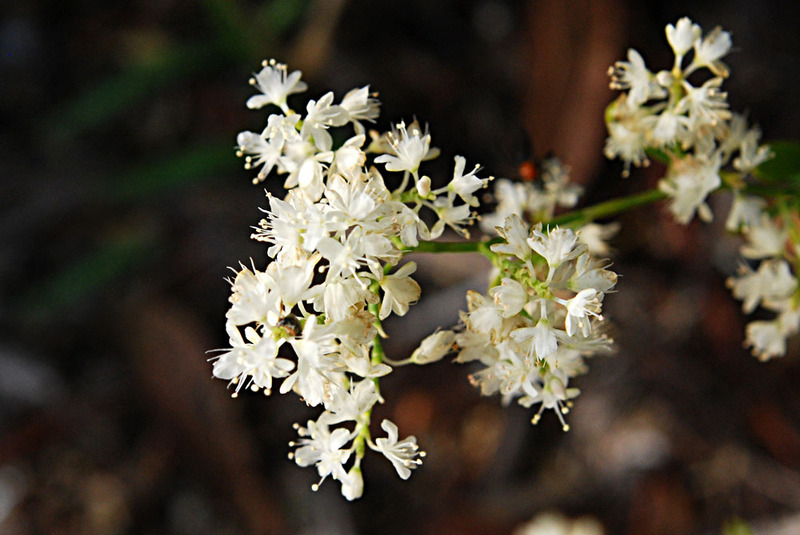 Characteristics: Largely unbranched, except for flowering stems near the apex. 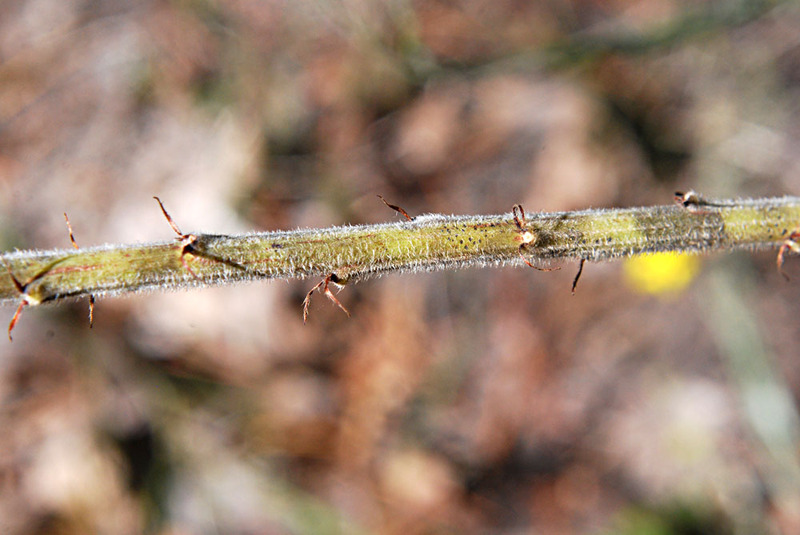 Stems covered with long white hairs. 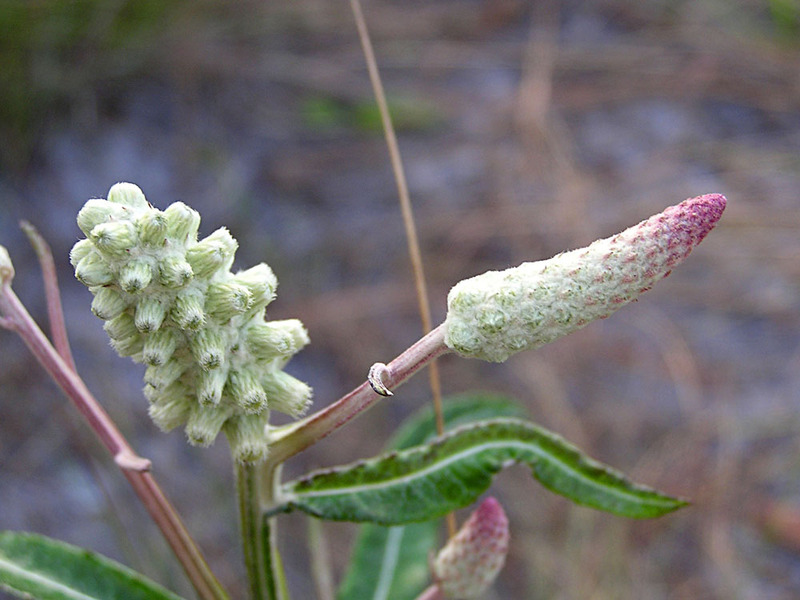 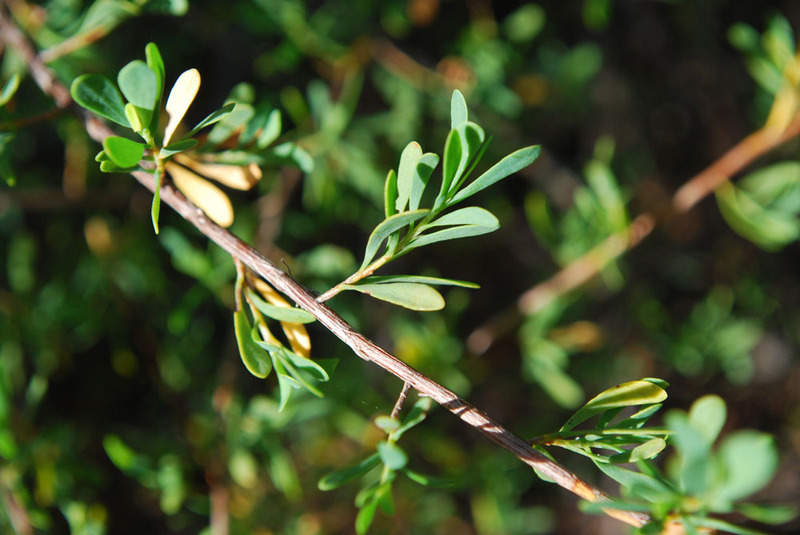 Each compound leaf has a short, hairy stalk. 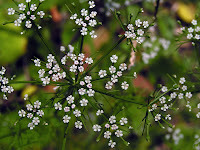 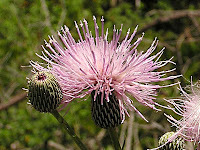 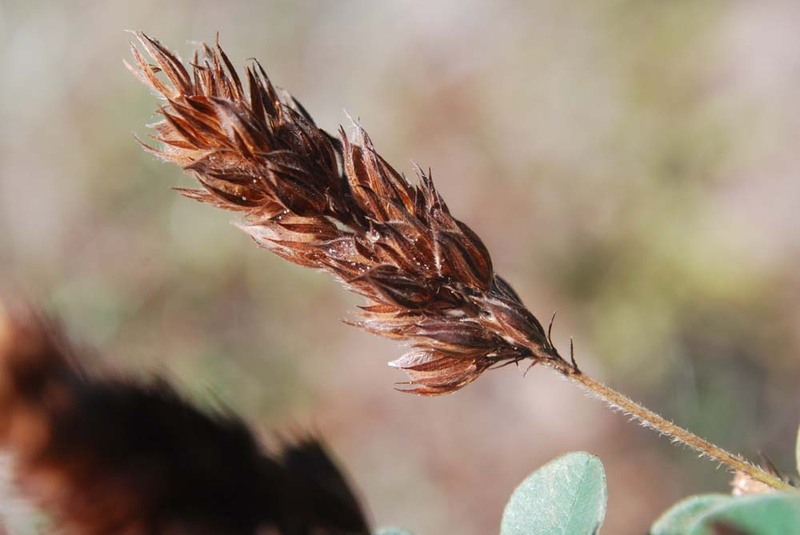 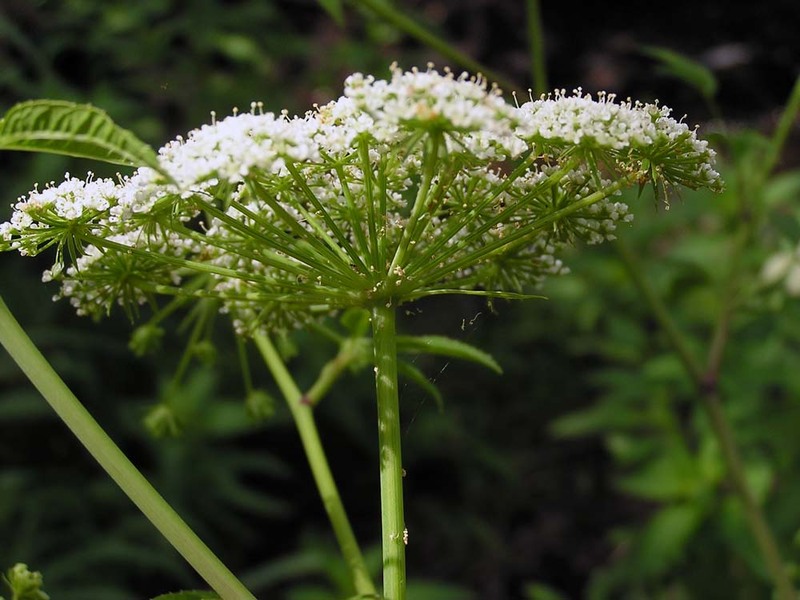 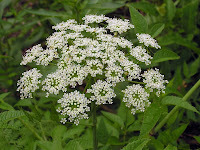 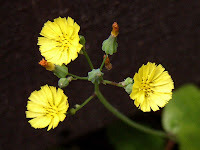 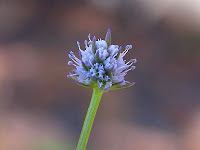 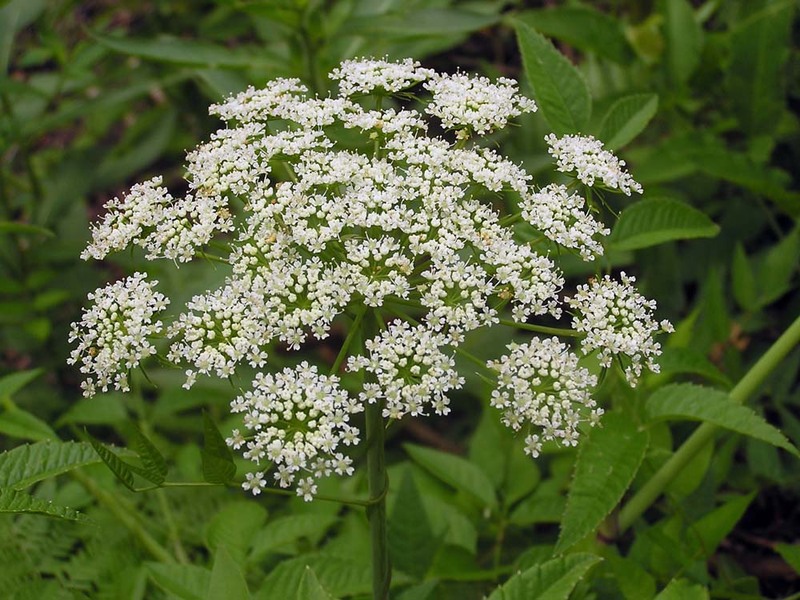 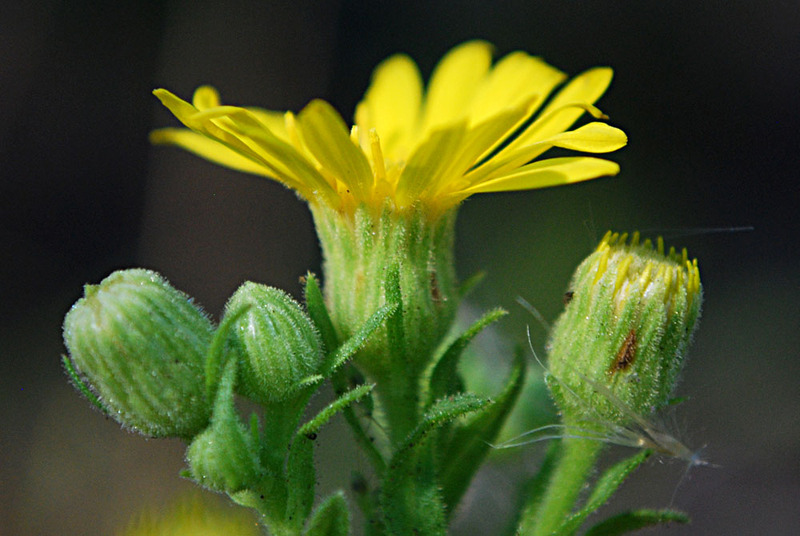 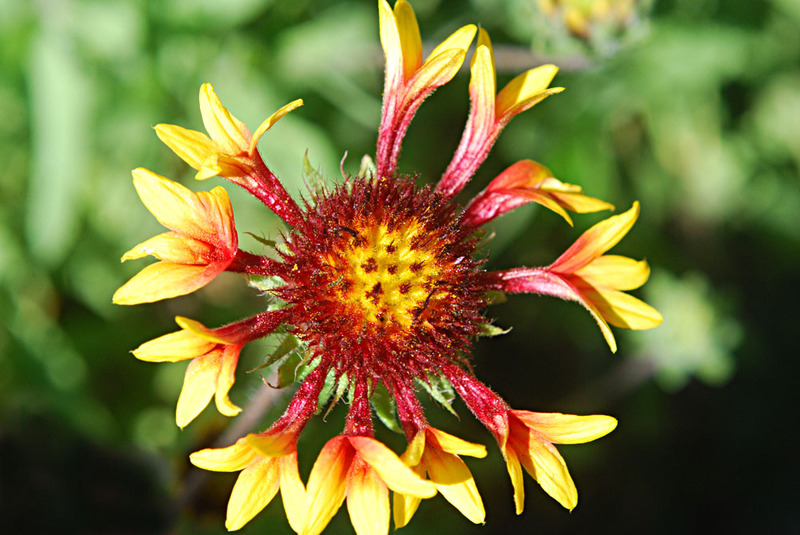 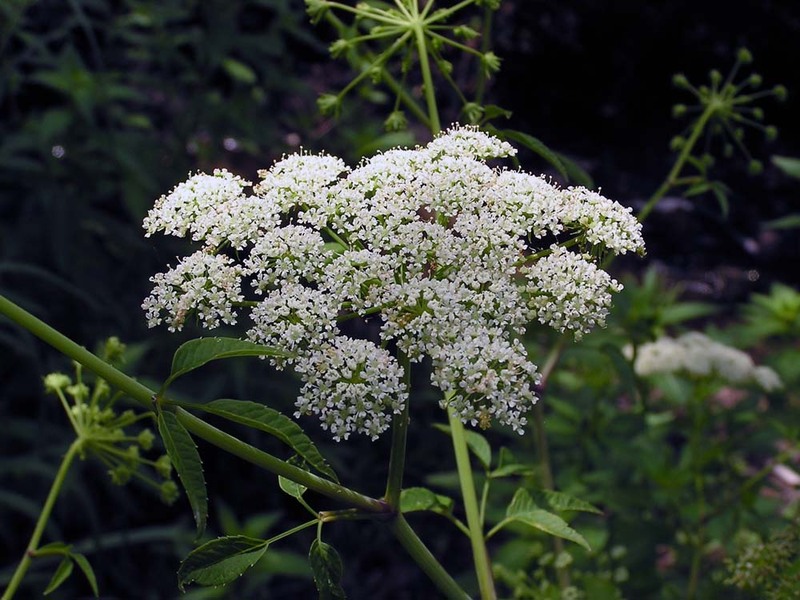 The flowering heads are on hairy stalks, often longer than either the leaflets or the flower head. 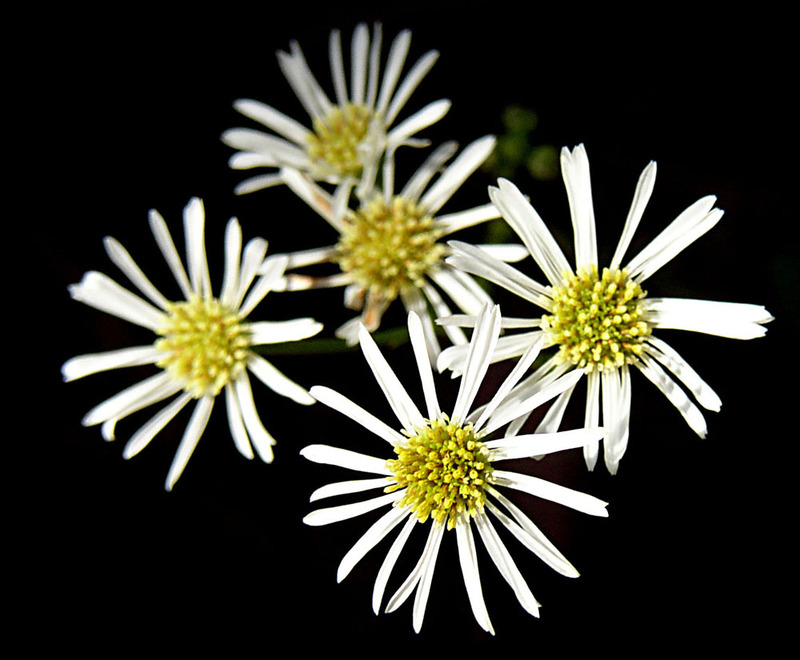 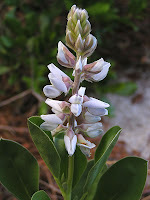 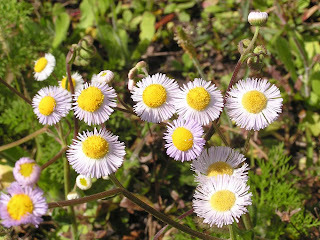 Flowers are cream colored, usually with a purple spot at the base. 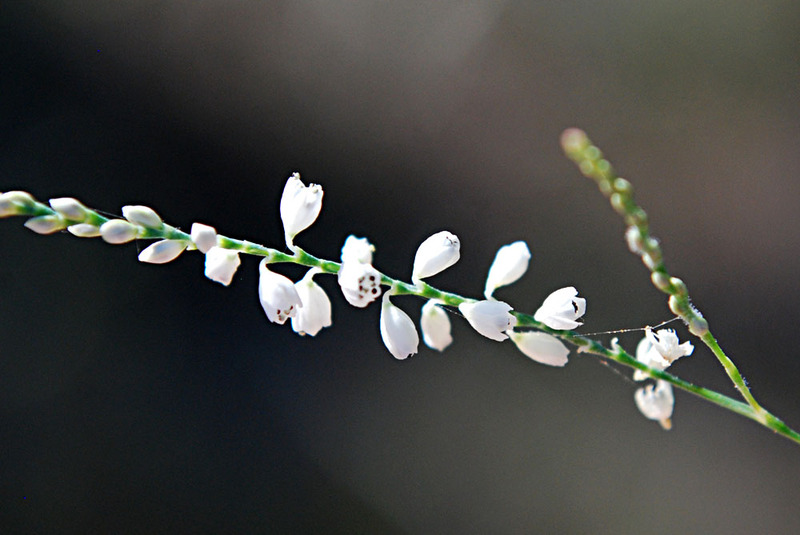 Blooms in the fall.